"Helping people to think outside the salon." “Eye Am Hair salon is now located in Hobart in Red Square, Macquarie Point! This fully functional hairdressing salon in the form of a copper clad caravan offers an experience that is truly unique. Eye Am hair is a gender neutral salon with highly creative hair artists that can do both alternative and more classic hair styles depending on your taste. Services at this top hair salon include haircuts, hair colours, hair treatments (including the anti frizz smoothing treatment keratin), hair washing and blow-drying, braiding, organic perming, beard grooming, styling and wedding hair. We also do music festivals and events and have gained quite a following in the past few years on the mainland set up at festivals such as Lorne Falls, Rainbow Serpent, Laneway, to name a few and now Tasmania has led us onto Marion Bay Falls Festival, Mona Foma and A Festival Called Panama. Most recently, Eye Am Hair has created several performance art concepts either operating independently among festival sites or under their umbrella as installations. The Silent Salon- Mona Foma, Hobart 2018. Festival attendees at Mona were able to submit their haiIm as art and partake in the first of the the hair salon/art installation concepts. The windows and mirrors were blackened of the van, punters sat in near darkness, a deeply ambient music soundscape was created by Ashley Bartholomew and mystery manes were born. The Submissive Salon - Red Square, Hobart 2018. We explored the idea of letting go and allowing the hair & make up artists and massage therapists to create in a red dungeon that celebrated the darkness of the winter solstice. It's a dream come true to be able to do our craft in such incredible locations and meet extraordinary people. Art installation, come hair salon experience held 18/1-20/1/19 at the 2019 Mona Foma festival in Launceston. The experience explored the physical, emotional and psychological experiences that arise through our connection to nature within the salon space. As an artwork, it allowed the participants to reflect upon the relevance of being in the natural world and it’s potential reinterpretation for everyday experiences. As a salon experience, it was a complete reinterpretation of how hairdressing can use nature to nourish our hair, body and soul. Silent Nights- Red Square Hobart 2019 - A weekly, ongoing installation. By popular demand we have started a regular silent session every Wednesday and Thursday Night. You can press pause and relax, while we cut or colour your hair and look after your well being in a meditative environment. We are covering the mirrors and allowing you to tune out while you tune into your senses and don’t have any pressure to talk. In addition to providing a unique service at festivals around the country, Eye Am Hair is an innovative on location wedding hair styling solution. Imagine a hairdresser that is completely confident and is able to come to you! Our signature style is effortless looks that allow people to be the best version of their natural selves – be it a bohemian style or a vintage glam design.Our passion, love and flair for wedding hairdressing will ensure your day runs smoothly and with a relaxed and fun loving vibe. WHO IS NANCY THE COPPER CARAVAN? She is an architecturally designed, climate controlled caravan salon that provides all the comforts of a world class salon. It's intimate, it's unique, its innovative and a little bit different. Designed using around 90% of recycled materials and is a true work of art. We are proud to be an organic salon. We are constantly working on minimising our impact on the environment by donating the hair we cut to a permiculture waste inintitaive as part of Mac Point. They then use the hair for the worm farm. We have many indoor plants in our space to clean the air and are surrounded by Australia’s biggest edible native & European garden precinct at Red Square in a step towards reconciliation & interrgration of community. We also recycled foil and are aiming for zero waste with all products available in glass amber packaging, recycled cardboard and recycled aluminum colour tubes. 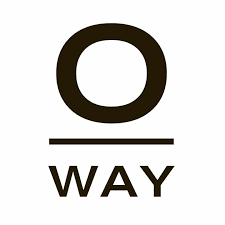 OWAY, our chosen brand of hair colour range and styling products, stands for the necessary future for best ethical practices and philosophy. Their environmental principles are truly inspiring, they grow their own ingredients using bio dynamic and organic farming practices, or source them ethically and their ingredients are all natural which don’t harm us or the planet and they source what they can’t grow through fair trade networks. The styling range is also not tested on animals, its vegan (bar 2 waxes ethically made with beeswax and bleach which is made with honey), Paraben, Sulphate free & toxin free. Red Square, the new location is the perfect fit for the Eye Am Hair caravan. It’s a hub, a unique venue space, and general great place to watch the sun go down with a drink in hand at Hobart Brewing Company. The space is already host to massive events in Hobart and new developments are looking to turn the area into a central cultural precinct of Tasmania. The space already hosts acclaimed events such as Dark Mofo's Dark Park, Tasmanian Symphony Orchestra gigs, and Hoptober Fest at Hobart Brewing Co. It’s the perfect rustic/industrial cultural hub match for Eye Am Hair and the other pop up businesses that have moved into the square. We are just a stone’s throw away from Hobart CBD, and the Waterfront booth national and international. Visit our contact page for our address.